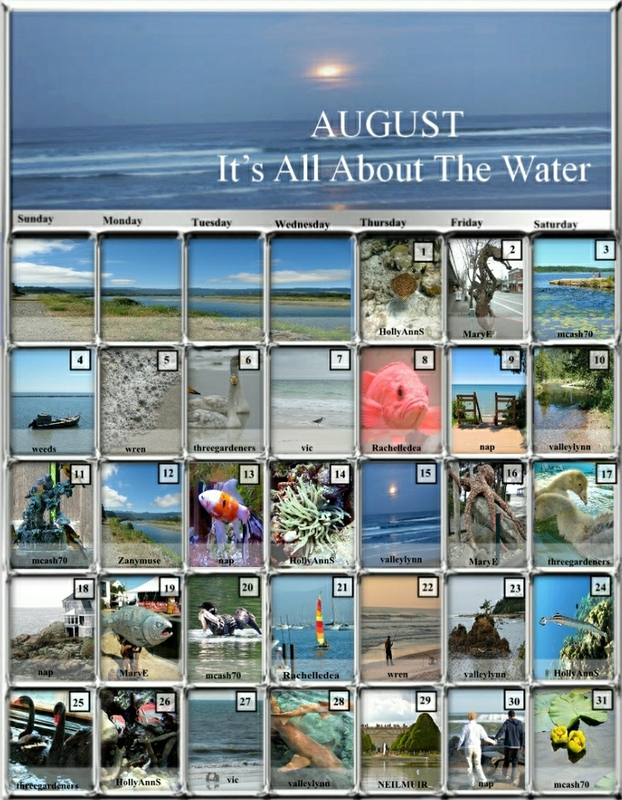 A member, MaryE, suggested we have a month of puzzles based on a single theme of WATER. It was a terrific idea and there were more images submitted than I could squeeze into the month. As the calendar below shows, there is plenty of cool water to go around. Take the plunge, dip your toes into a river, a stream or the surf. Make a Big Splash and cool off with a Jigsaw Puzzle.